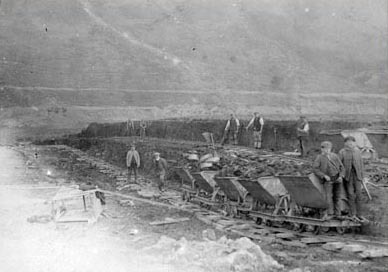 The story of the discovery of the Llyn Fawr Hoard starts with the development of the Rhondda coal-field which was much later than those of Aberdare and Merthyr, receiving as its chief impetus the American Civil War (1861-1865), a period of history that also saw the prosperity of the Hirwaun Iron Works. 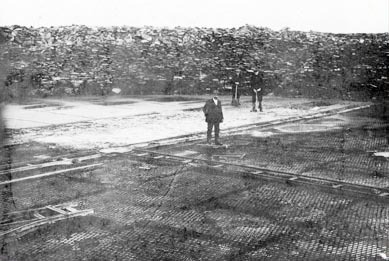 Prior to this period, the population of the Rhondda in 1811 was just 576; that number had risen to 951 by 1851, but by 1901 had increased to a staggering 113,735. 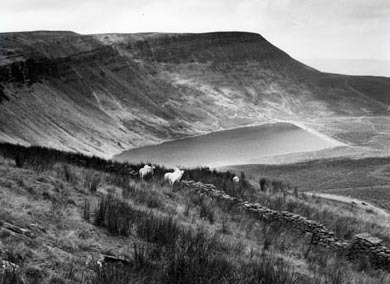 To accommodate the increased need for water, it was decided to supply the area with water from the neighbouring valley by tunnelling through the mountain to the north and pumping water from the lake of Llyn Fawr. 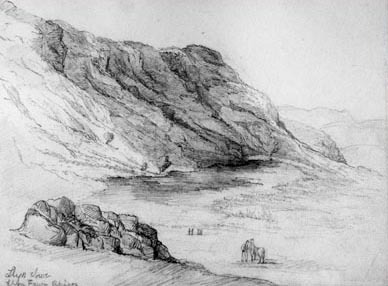 Llyn Fawr is to be found in an isolated upland setting in the north of Cynon Valley surrounded by steep rocky outcrops, in a cauldron-like formation. The bronze cauldron was a key item of feasting equipment in use across Atlantic Europe between 1300 and 600 BC. Designed to impress, hammered sheets of bronze were painstakingly riveted together joined with bossed, bronze rivets. Cauldrons were used for cooking food, especially during feasts. They were also regarded as ceremonial possessions, invested with symbolic powers of regeneration and fertility. From about 1000 BC, a new and harder material, iron, began to replace bronze. The sword, the spearhead and one of the sickles are very early experiments in this new technology. The maker, being familiar with bronze casting, laboriously hammered the iron into carefully made templates similar to moulds and copying recognized bronze forms. More efficient techniques were soon adopted as blacksmiths developed improved iron smithing techniques. 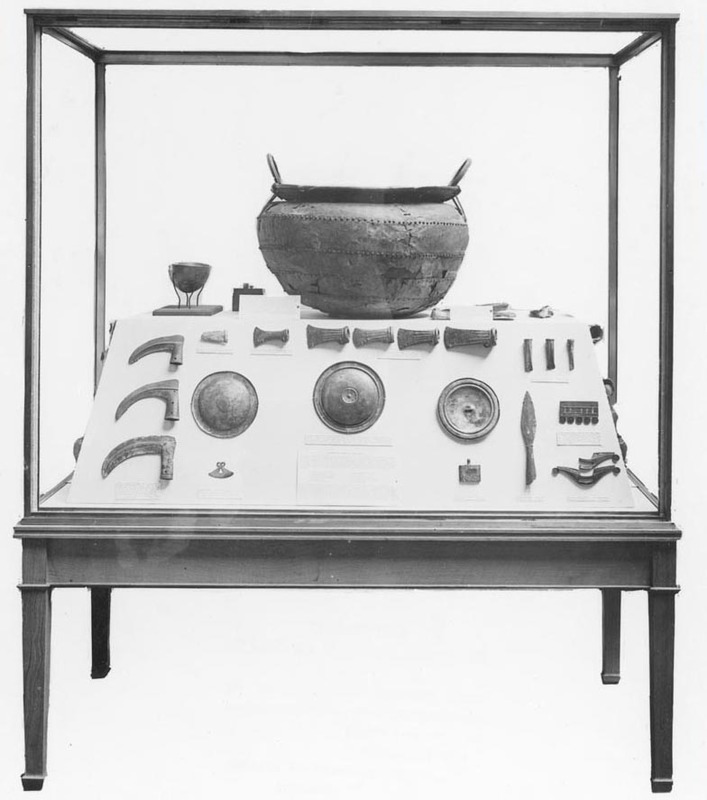 Buried for over 2500 years in waterlogged peat, the artefacts were excellently preserved in a complete, rather than a broken state, and many were items of the highest quality, some of which originated in other parts of Britain and the continent. It is thought they were cast into the lake as offerings and may have been made as a contract with the Gods in return for good harvest and the continued wellbeing of the community. The reflective lake waters may have been seen as a boundary between the two worlds.